A disqualified driver was more than three times the drink-drive limit when he crashed twice, then assaulted a police officer. 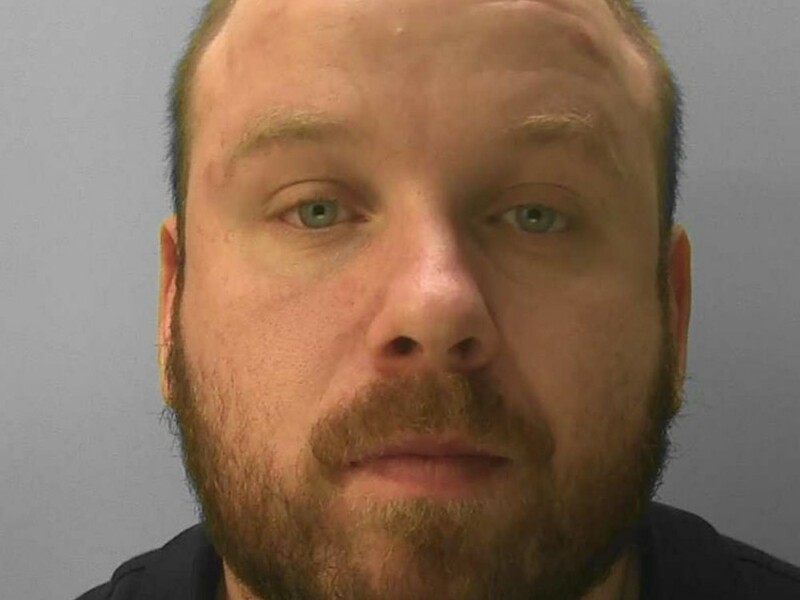 Valentine Mitjajev has since been jailed for multiple offences committed on the evening of 8 January in Hastings. 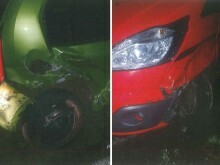 About 9.23pm, police received a report of a suspected drink-driver who had parked up in Queens Road. Officers attended, and witnessed the suspect exit a nearby kebab shop and get into the driver’s side of a black Mercedes S350. They approached the vehicle, which accelerated in reverse and crashed into a parked car. 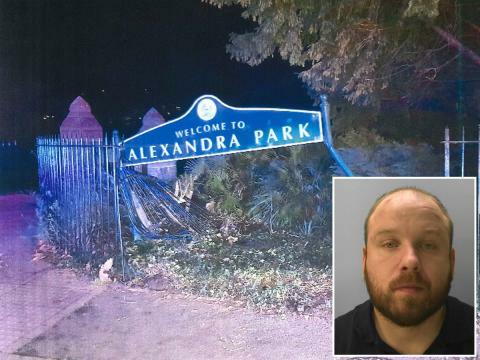 It then made off at speed past the officers, and following a short pursuit, it crashed for a second time into railings at the entrance to Alexandra Park. 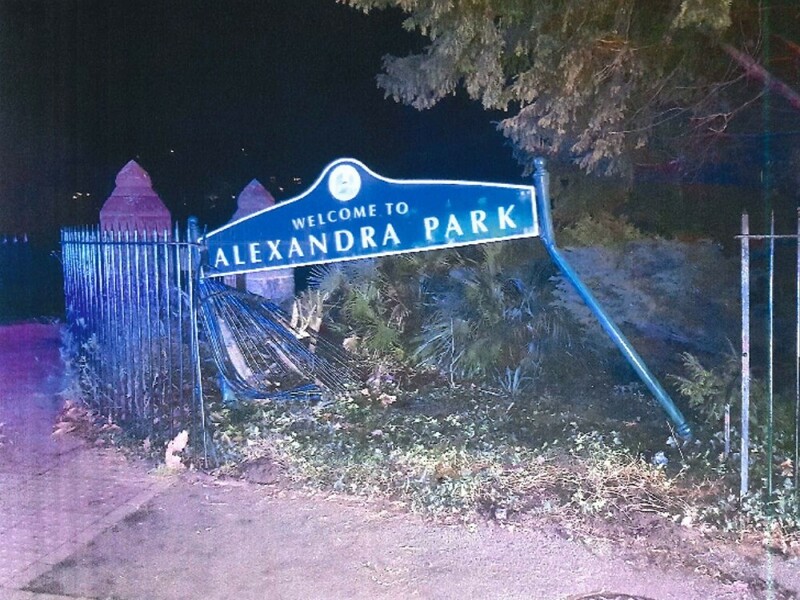 Above: Damage caused to the railings at Alexandra Park. Mitjajev made off on foot and police carried out a search of the area. He was found with both hands down his trousers, and when ordered to show his hands, he lunged at the officer and assaulted him. He ran off again, but was swiftly detained by other officers who had been called in for back-up. At Lewes Crown Court on 7 February, he was sentenced to a total of 15 months’ imprisonment and disqualified from driving for three years and seven-and-a-half months from the date of his release. He was also ordered to pay a £140 victim surcharge. Trouble travelling to countries such as the USA. 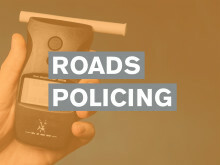 People in Sussex can text officers on 65999 with the details of people they suspect of drink or drug-driving, or visit the Operation Crackdown website. You can also contact the independent charity Crimestoppers anonymously on 0800 555 111 or report it online. If you know someone is driving while over the limit or after taking drugs, call 999. Other motorists arrested during the campaign are yet to face magistrates.